November 20, 2017 752 × 1000 You’re on the Nice List! 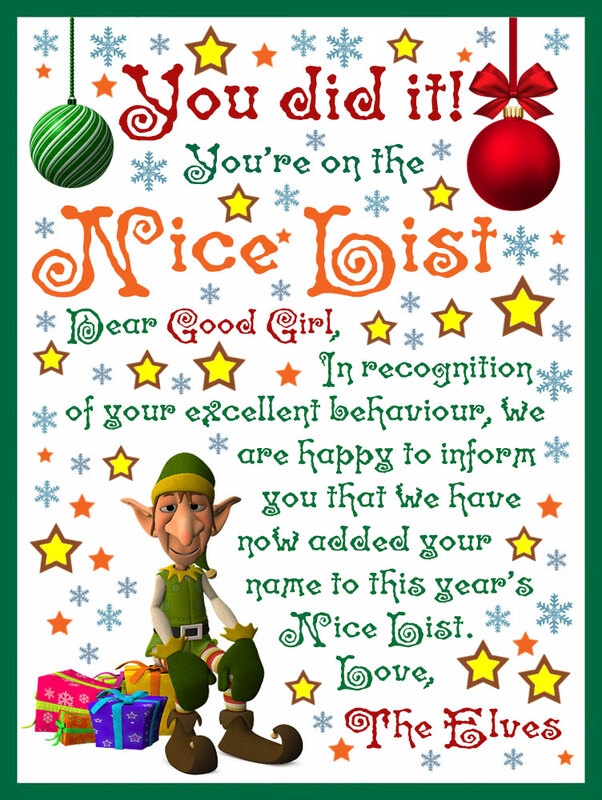 This is a fun little note from the Christmas elves, letting your little girl know that she’s made it onto the Nice List. Presents will no doubt be coming her way on the sleigh this Christmas Eve!